I had the pleasure of delivering a session at the annual WomenEd ‘unconference’ last weekend. My session, entitled ‘Faking it to make it: Gaining confidence to do the thing you’re not ready to do!’, examined the research on the confidence gender gap, and what this means for women in leadership. As well as gathering some top tips for building confidence. Confidence is closely related to perceived competence and perceived ‘influence’ in an organisation and, therefore, to leadership potential. However, the playing field for men and women isn’t quite even. For men, if they are viewed as confident, people assume they are competent and this association flows back and forth, in a self-reinforcing cycle. However, for women, this relationship only stands if they are seen as ‘warm’ as well. Essentially, no matter how competent a woman is, she will only be seen as confident and therefore fit for leadership, if she is also warm. This is reflected in the fact that women’s performance reviews include twice as much language about being ‘warm’, ‘empathetic’ and ‘helpful to others’ than men’s do. This research resonated for many women in the session, highlighting instances where they had been told to be more ‘approachable’, despite male colleagues being less so. This is frustrating. Men and women in leadership positions should consider whether they are giving undue attention to these characteristics and ensure that they give fair and equal advice to their male and female peers and subordinates. There is a conflict between society’s expectations of ‘good leaders’ and the stereotypes applied to women. Confidence is one of a number of traits which is associated with both leadership and stereotypically male or masculine characteristics. When I asked the women in my session which list of traits described them best (see figure 1), there was a 50/50 mix between those that felt they were ‘interpersonally orientated’ (left list) and those that were ‘task orientated’ (right list). However, research shows that people associate task-orientated qualities with men, and not only does this include ‘confidence’: a key trait associated with leadership, but when women do exhibit these qualities they increase their chances of receiving negative evaluations from their managers, peers and subordinates. The researchers concluded that women leaders have to be extra confident and have high self-esteem in order to deal with the conflicts that arise from these stereotypes. Confidence is critically related to leadership, but disturbingly one of the most consistent findings in gender studies is that women are less confident than men. Men typically display what is known as ‘honest overconfidence’: they consistently overestimate their abilities and performance, and rather than inflating their true perception, they honestly believe that they are better than they are. Whereas women consistently underestimate their abilities and performance, despite typically performing as well as men. International research also paints an unexpected picture of the gap between men and women’s confidence. 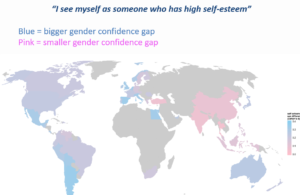 In many western nations with relatively high gender equality, the confidence gap is actually larger (highlighted by the blue and purple countries on the map), than in some eastern, less egalitarian nations, which have a smaller confidence gap (pink). This seems strikingly contrary to what we might assume. Researchers suggest that these findings are caused by women in less egalitarian countries comparing themselves primarily to other women and seeing their roles as clearly defined, whereas in more equal societies, women compare themselves to men, but find they are still frequently underrepresented and shut out of top positions, which has a negative impact on their confidence. This confidence gap affects women in the workplace. Half of women report self-doubt about their performance and careers, compared to a third of men, and while a little self-doubt can be useful, too much can stop women from ‘grabbing’ opportunities. Some research suggests that men initiate salary negotiations four times as often as women, though the tide may be turning. When women do negotiate they ask for 30% less, on average, than men do. Research from KPMG found that 56% of women ‘were cautious about taking steps toward leadership’ and 59% sometimes found it hard to see themselves as a leader. So, how can we build our confidence? Many of the women in the session felt the research closely reflected their personal experiences in the workplace and so we turned our attention to strategies to improve confidence. ‘Faking it’ can make other’s see you as confident and can even increase your genuine confidence. 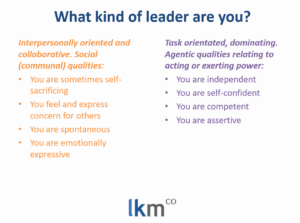 Data shows that the most effective leaders are viewed by their teams as highly confident and effective even though they themselves often feel less than confident. This is key as it is other people’s perceptions of confidence rather than our actual confidence that forms the basis of their judgements. ‘Faking it’ can also become a self-fulfilling prophecy, eventually making you feel genuinely more confident. Additionally, using the ‘fake it’ method to get started on a task could give you the boost needed to attempt something new or scary, in turn allowing you to find that you are capable and thereby increasing your confidence. One attendee in the session shared how she prepared extensively for a meeting with Ofsted but, still feeling under confident, told herself she would have to ‘fake it’ to make it through the meeting. 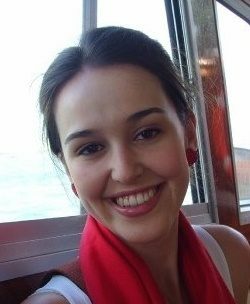 However, after a few minutes she realised that she knew what she needed to know and was certainly competent enough to conduct the meeting, and so she felt a boost of genuine confidence. Of course, building genuine inner confidence is also a worthy goal, however, sometimes ‘faking it’ can provide a temporary solution, or can even be a step along the way to building real confidence. BBC Radio4 recently ran a series of programmes about women who have changed the course of their countries’ history. The common thread emphasised by each extraordinary woman was that they had not done it alone. All had been supported and inspired by networks of other fantastic women. Seeking support and supporting others can give you a confidence boost as well as building your networks and providing learning opportunities. There are also instances, particularly when you suffer a crisis of confidence, where you might need the support of others more urgently. Having a go-to person to help you see clearly when you’re panicking about something can help your feel calmer and focus on solutions. Our lovely deputy director Anna is often this person for me and even a five minute conversation can help me see the way through a problem. The little things that help you feel confident? I also asked attendees to share their top tips for confidence. One of the most common responses was to prepare thoroughly and to practice with friends or family. This is good advice, we’ve already highlighted the importance of seeking support from others. Being prepared is obviously crucial to producing or presenting high quality work. However, women sometimes risk over-doing this. Research and anecdotal evidence from business leaders highlights that women often ‘hang back’ before suggesting an idea, spend a lot of time ensuring something is ‘perfect’ before presenting it or are highly risk adverse. Crucially, psychologists highlight that risk-taking and dealing with the failure that could result from presenting a half-baked idea, are key components to building confidence. Of course, I’m not advising that women (or men) shouldn’t prepare thoroughly when necessary, especially if they feel more confident having done so, but we should recognise that it’s not always necessary and there are some situations where it’s best to have a go and share ideas early as spending a long time preparing could hinder our ability to grab new opportunities. Finally, and perhaps most importantly, to build confidence you have to do the thing that you feel less-than confident about doing. 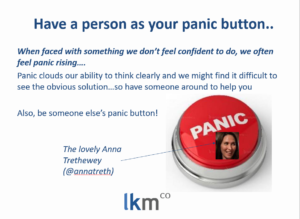 Katty Kay and Claire Shipman, authors of ‘The Confidence Code’, (recommended reading if you’re interested in this topic) highlight the definition of confidence given by Psychologist Richard Petty: “confidence is the stuff that turns thoughts into action”. This means that confidence applies to all situations, is more than just a belief in our abilities and furthermore, is part of a ‘virtuous’ self-reinforcing cycle. The more you act, the more confident you feel, and the more confident you feel, the more you act. To break into this cycle, you have to take action and ‘do the thing’. This is powerful advice, but perhaps even more powerful when considered alongside her admission that “there are still days I wake up feeling like a fraud, not sure I should be where I am.” Though practice and use of these strategies will hopefully enable women to continue to build their confidence, there will always be instances when we feel less than confident. However, only by taking action and ‘doing the thing’ will we really discover just how much we are capable of. School Funding: It’s all fine guv. Honest. How should primary schools be held to account?